Hamilton Small Animal Veterinary Centre! We were so proud to be told that nominations for Hamilton Small Animal Veterinary Centre spoke of our outstanding service plus the level of care we provide. Veterinary professionals are a special breed, and since 2016, the Petplan Veterinary Awards have recognised the industry’s ‘’best in show’’. Petplan work closely with the veterinary profession and see firsthand the fantastic work that goes on in veterinary practices all across New Zealand. This initiative was created by Petplan to allow everyone to recognise and support the hard work of all veterinary professionals. 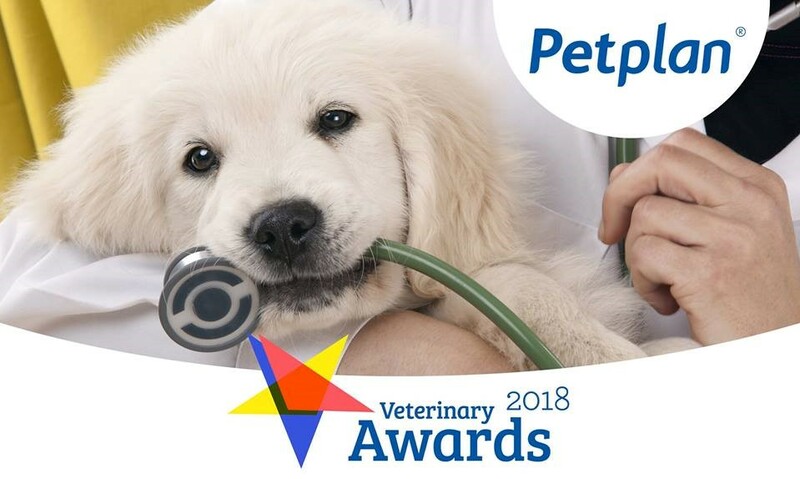 People from all over the country have the opportunity to nominate their veterinary heroes, and it is the job of Petplan’s panel of expert judges to sniff out the top dogs in the three categories before a final public vote to announce the winners. Our experienced vets and tertiary trained veterinary nurses are committed to providing the best possible care for your beloved pet. Throughout all stages of it’s life, we are dedicated to keeping your furry family member in the very best of health. Hamilton Small Animal Veterinary Centre goal is to improve and maintain the highest quality of life for our pet patients, in a caring and compassionate way. Through good communication and client education we assist you to arrive at the treatment, health or nutrition plan that best fits the needs of you and your pet. Having a large small animal department under one roof, we offer a complete, convenient service to any pet patient. Our experienced small animal department has a team approach towards resolution of any pet health problems. We are assisted by a range of modern diagnostic tools and offer both general and referral surgical services. We are the one stop veterinary shop for any pet. At Hamilton Small Animal Veterinary Centre we employ a large team of caring, tertiary qualified nurses whose primary function is to maintain the best standards of patient care possible. Patient well-being is paramount, and providing a low stress experience for our patients and their owners is of the utmost importance. We pride ourselves on having a great team, and being able to provide the high standards of care and service that we do. But doesn’t every clinic say that? We are so confident in our service, we seek independent audits via BEST Practice and AsureQuality. We are proudly the only Hamilton Veterinary Clinic meeting the BESTPRACTICE standard, an independently audited and verified standard of the NZ Vet Association. 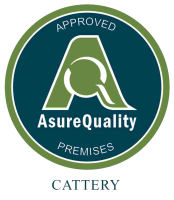 Our boarding cattery also passes the AsureQuality standard of hygiene and design. What independent guarantee of quality does your current practice give you? We provide you and your pet with exceptional care and service throughout their visit or stay, while offering you a service that is in the best interest of your animal. I trust Hamilton Small Animal Veterinary Centre with all my own animals needs and the rescue dogs/pups needs. The staff are professional, caring and a pleasure to deal with. The vets are absolutely brilliant, supportive and very knowledgeable. I highly recommend Hamilton Small Animal Veterinary Centre. The animals have the best possible time there with lots of love, cuddles and treats. I know when the animals are there they are well looked after and they love to go back. Thank you Hamilton Small Animal Veterinary Centre for all you do. I cannot speak highly enough of the services you offer. The team at Hamilton Small Animal Veterinary Centre are the best Vet Worldwide. I come from Michigan USA and have always had animals, these folks are tops!!! Our dogs Numosh and Nish love the whole team. Hamilton Small Animal Veterinary Centre have been our vet practice for many years. We are ardent animal lovers, and over the years we have had many, mainly dogs. Our dogs are our babies and are very special to us, and the staff have been amazing. Our beautiful St Bernard Gracie, now 8 years old, has been under their care since she came into our family at 12 weeks old. Over the years she has had many health problems, mainly joint related, and she has had a few very big operations. All the staff at Hamilton Small Animal Veterinary Centre love her and she in turn loves them too. She can’t wait to get out of the car, and get in there to see everybody which is amazing considering the painful procedures she has had. All the staff at Hamilton Small Animal Veterinary Centre are wonderful. From the receptionists, to nurses and vets, we love them all. Thank you all for your great care of our babies and us. 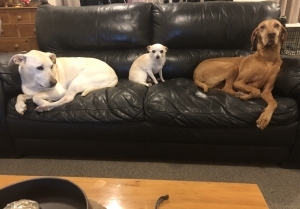 We have three dogs of different breeds and ages and they have all been going here most of our lives. They provide outstanding service and the staff make a big effort to put our dogs at ease especially our older lab who doesn’t like vet visits at all! 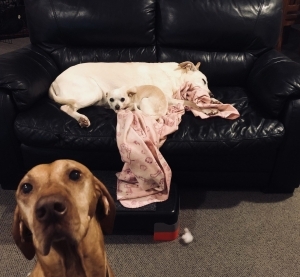 They are very thorough and patient, and if any of our dogs are having surgery they keep us updated so we know everything went ok.
We feel very comfortable entrusting the health of our precious babies to all the staff here.